A very cute devil kit for the next time you need to show your devilish side in a hurry. 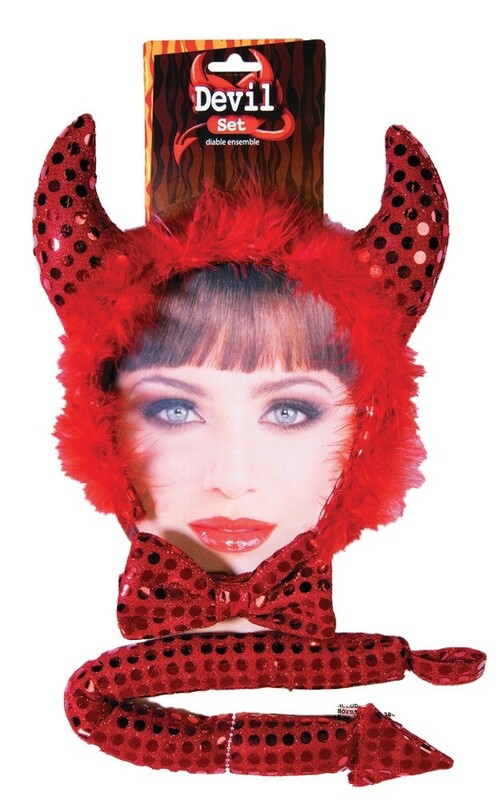 Red sequin devil ears atop a marabou-covered headband comes with a sequin bow tie and matching sequin devil tail. One size fits most.